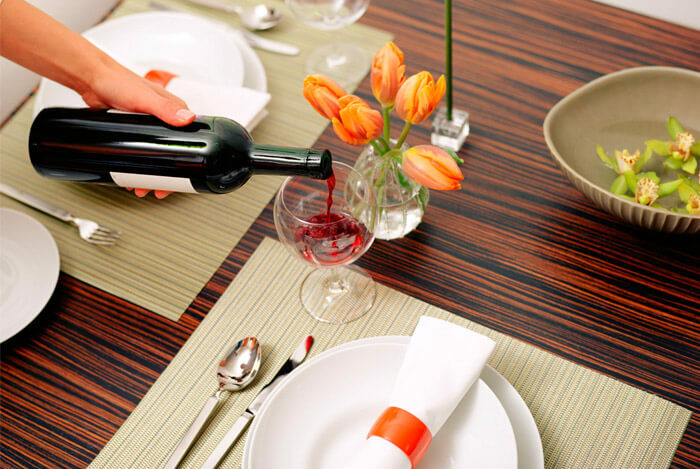 Is Red Wine Really Healthy? For what seems like ages now, we’ve been told that having that single glass of wine a day is not only permissible, but likely good for your health. At this point, I wouldn’t be surprised to hear it called the cure for all disease. Everything has a hype cycle in modern culture – especially health trends. They rise in popularity, then before you know it, they’ve declined and faded into the background until they disappear altogether. I’ve covered plenty of these trends recently, so I can tell you a thing or two about diet fads. But that idea of a healthy glass of wine has stuck around for quite a while. We desperately want to know that one of our favorite adult beverages is good for us. And it’s understandable: wine is delicious! But, what if that’s all it is – an idea? Countless health gurus have claimed the benefits of drinking red wine, but new research is starting to reveal how wine may not be as amazing as some people say. The oldest known wine was 8,000 years old, made by Stone Age people in what’s known today as the Republic of Georgia. The delicious drink can come in so many different colors, tastes, and prices – it’s enough to make you feel a little dizzy and lightheaded before you’ve ever taken a sip. Wine itself is simply the byproduct of fermented fruits, herbs, or flowers. The most common form of wine is made from grapes. It can come in different colors because of the skins on the grapes and the varieties of yeasts it’s created with, red grapes can make white or “rose” pink wine, but not vice versa. When you put a couple thousand grapes into a big vat, the sugar inside the juice is converted into alcohol over time by the yeasts coating the grape skins. Voila, a delicious alcoholic beverage is born. Wine is definitely an interesting drink, with a lot of enjoyable variety. But, if it really could be shown to have positive health effects that would be a whole other story. The real health benefits of wine come from what is found in the grapes themselves. Grape skins contains antioxidants called polyphenols, which have been linked to stronger lining of blood vessels in the heart. Because of the role grape skins play in the fermentation process, these polyphenols are abundant in the end product. The primary polyphenol present in red wine is called resveratrol. Resveratrol itself has become a popular supplement for heart health because of the belief that is wards off heart disease. A growing industry has developed around the production of these supplements, generating $30 million a year in revenue. Because polyphenols are found in the colored skins of grapes, redder wines have higher levels of resveratrol than whites. Most of the research on the health benefits of red wine has been performed on animals, not people. Resveratrol was linked in mice to lower risks of diabetes and obesity, but the same outcomes have never been demonstrated in humans. Resveratrol is also thought to reduce risk of inflammation and blood clotting, and because it’s a naturally occurring substance in grapes, people think it might be the real deal. Researchers at the Texas A&M Health Science Center College of Medicine found that resveratrol might help prevent age-related memory decline in rats. 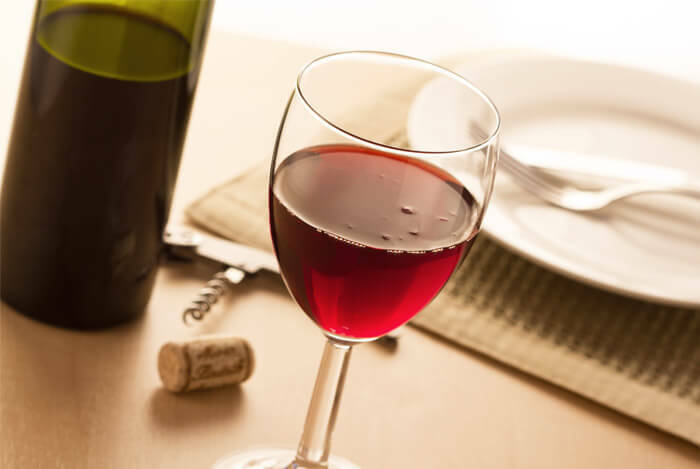 A study published in the Journal of Agricultural and Food Chemistry found that resveratrol in red wine might reduce levels of dangerous bacteria linked to dental disease and cavities. Another study found that higher levels of resveratrol in red wine could help reduce risk of colon cancer. 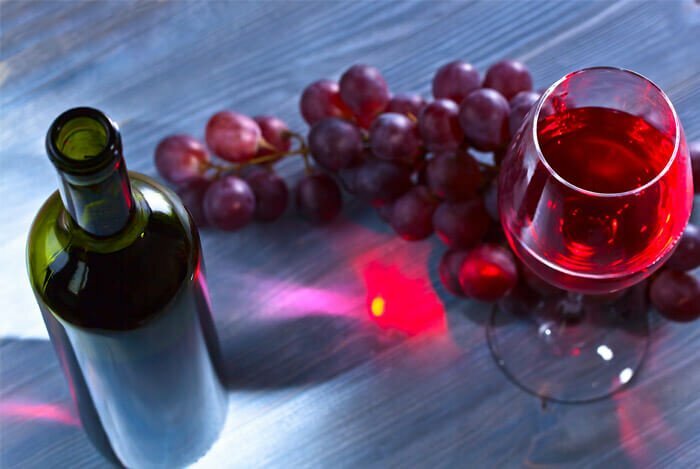 However, all of these studies have one thing in common – they are looking specifically at the effects of the antioxidant resveratrol in large quantities. Unfortunately the body doesn’t process it in a way that would allow these quantities to occur. A researcher named Jane E. Cavanaugh, Ph.D., found that the body absorbs resveratrol really poorly. In fact, she calculated that a 150 pound person would have to drink 700 small glasses of wine a day to receive any of these benefits. I’m not sure about you, but I’m ready to call it quits for the night after only a few glasses. The ‘French Paradox‘ has been discussed for a long time when comparing diets from country to country and their varying health levels. While the French have diets that are packed with saturated fats and cholesterol, somehow they have unusually low levels of heart disease. In the United States and the United Kingdom, consumption of these foods are substantially equivalent, yet our rates of cardiovascular disease are much higher. Researchers have been desperate to get to the bottom of the French Paradox, and the answer often proposed is their obsession with red wines. But as it turns out, there’s no evidence for this at all. Professor Richard Semba of Johns Hopkins University School of Medicine and his colleagues performed a study on 738 elderly people in the Italian countryside, whose diets mirrored closely that of the French. The volunteers gave details about their diets as well as regular urine samples for the researchers to measure their resveratrol intake. Over nine years, they found no link between death risk, heart disease risk, or cancer risk in any of their subjects. “The thinking was that certain foods are good for you because they contain resveratrol”, said Professor Semba. “We didn’t find that at all”. As it turns out, the reason for the French having better health in the long run than other countries is largely because of their habit of maintaining a balanced diet and higher activity levels which is more important than any single component in preventing disease and ensuring longevity. Wine certainly has some benefits in the form of antioxidants, but if you drink it rarely, or never, there are other ways to get those benefits. When it comes to alcohol moderation is key. Some wine every now and then is fine, as long as you plan it into the larger context of your diet. What’s your take on the health benefits of wine? Have anything else you’d like to share? Let me know in the comments below!